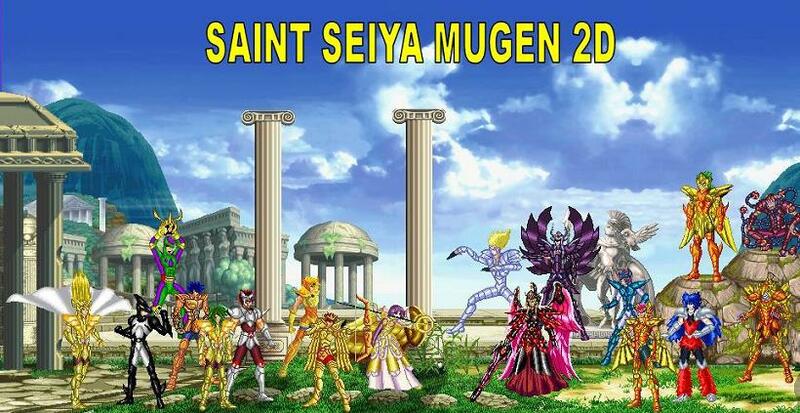 Recently in Mugen World was released a new char saint seiya. This is the seiya in Version JUS (Jump Ultimate Stars) .Although is one another version of seiya ( I've lost count of the numerous versions available of Pegasus) the character has a different battle style, attractive and up even innovative. today I will introduce the second char Saint Seiya to JUS version. The char was created by a Brazilian and is apparently your first work in the Mugen world. Although the player only can use three buttons, the character is very well planned with special faithful the anime. notice: you will be resized to the site of the creator. se ve muy solido el personaje, si es de ese juego y creo que es para la nintendo DS. it seems the versions JUS of saint seiya they came to stay. This time I come to show you the new char of BSSHBR, the same creator of Hyoga JUS. I hope you have fun. Besides of Shiryu, hyoga has undergone a major upgrade. OK. I put some backup copies. Note in the first post. Who likes the Jus style, we have a great novelty. The version of Ikki was recently published. The specials are good, do not be scared with the size of the char. If you want to code a version JUS, contact your friend El Loco Jr. In your folder you have several sheets ready to be programmed. there are many version of chars of the sanctuary. We have Bronze Horsemen, some silver and all of gold. Not all jobs are available for downloads. You must wait for the autorization of the author. Ps: The download link belongs to the author. There will be backups only if the link drops. The Friend Shadow Mercer did the shun as promised. The work was very good. The highlights are in the blows of the Hades and shun with virgin armor, although the others ones are good. Soon we will have the saga. Remembering, it is not me who is doing the chars. Who likes the Jus style, follows other works of friend Shadow. We have seiya, hyoga and shiryu. All specials are based on anime. Now we have the first jus version for the Golden Knights. I was very surprised by the innovations in the hypers. The char is very good. Remember, the Jus style usually has one programation more quicker than the LR chars. Pues ese creador es muy talentoso, realmente si que le saca jugo de diversión a los sprites super deformed o los pequeñines. Se agrádeme mucho, son muy buenos chars!! The friend shadow Mercer is surprising. The golden rider this time was the MU. We have several innovations in Crystal Wall, Starlight Extinction, Stardust Revolution and Telecinese. The Impressive is the way the creator built the blows. They is very good and many of them have not even appeared in other versions of MU. Worth to download. The char is excelent. If you want to talk to the author, you can talk to him in the comments section on you tube.